I have built two studios for my personal use over the past few years. One is a smaller studio in Devon; the other is a large facility in southwest France. Each has its own personality and strengths. 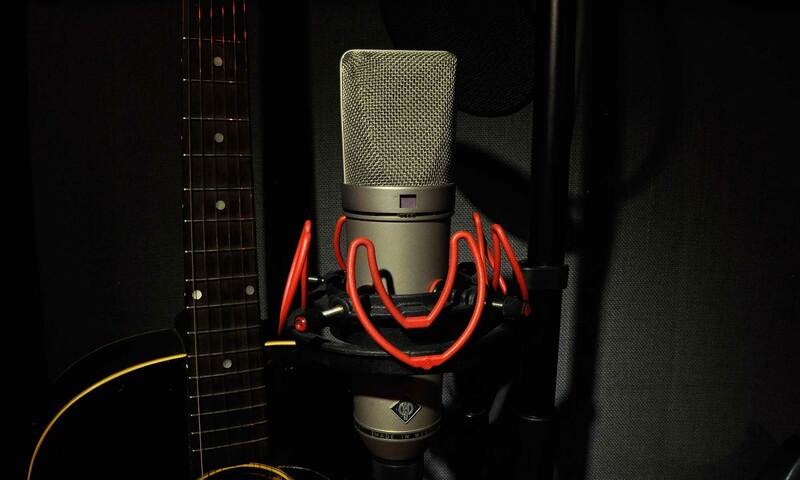 I have worked to make each one a space that fosters creativity, with a smooth workflow, excellent microphones and outboard gear, superb acoustics and very high standards for recorded sound. 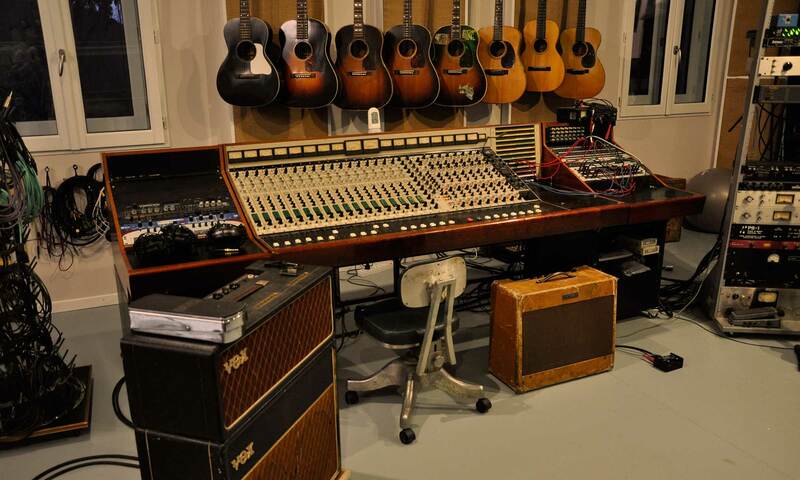 My main recording platform is Pro Tools 12, although I also work in Logic. An equipment list follows at the end. The names for these two studios came by chance; I’ve always loved old signs and lettering – my grandfather was a sign painter – and I bought two lots of old sign letters from ebay in France. “Mineur” and “Ace” were the two words that used the most letters from each batch, and so the studios were named. “Mineur” in French can mean minor, as in a key; or miner, as in someone who works underground. 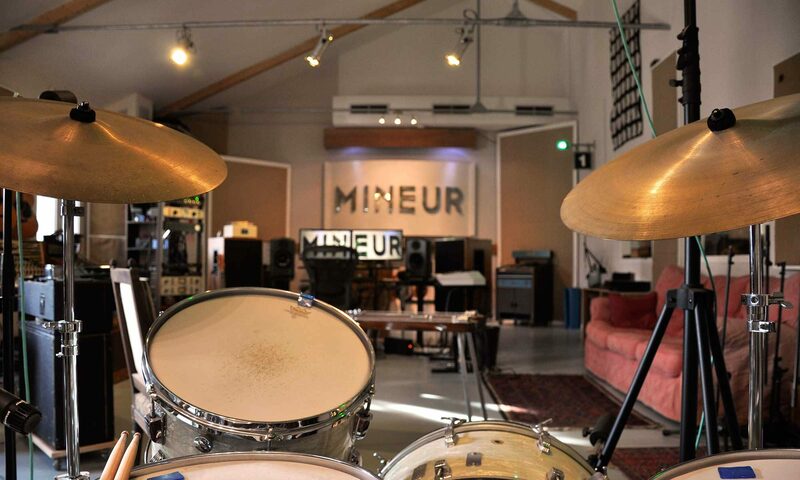 Mineur is built in an old dairy barn in southwest France. It has very high ceilings and a beautiful, but controlled, natural reverb. After years of working on both sides of the studio glass, I wanted to do away with the traditional control room/recording room division, so this is a “one-room” design – I sit with the musicians. 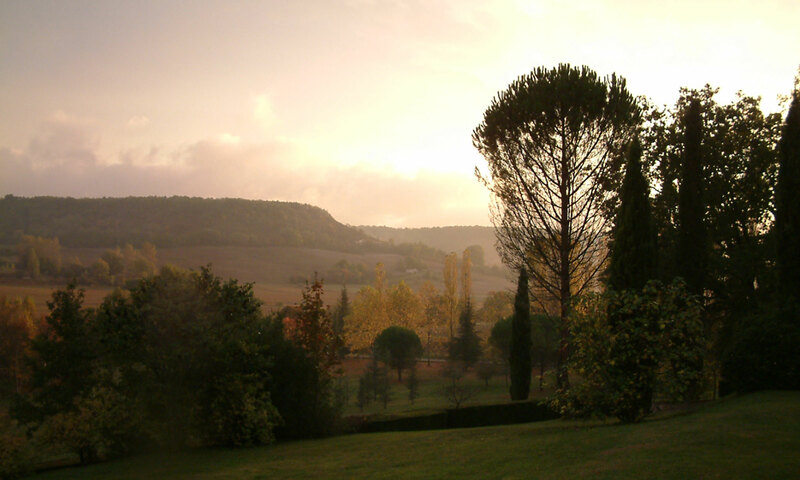 The studio is set in a breathtakingly beautiful area of rural France. It is supernaturally quiet, and you are in the middle of nature when you step out the door. It offers a uniquely relaxing, but very focused, environment in which to make music. There is an apartment attached to the studio which can sleep up to four people. 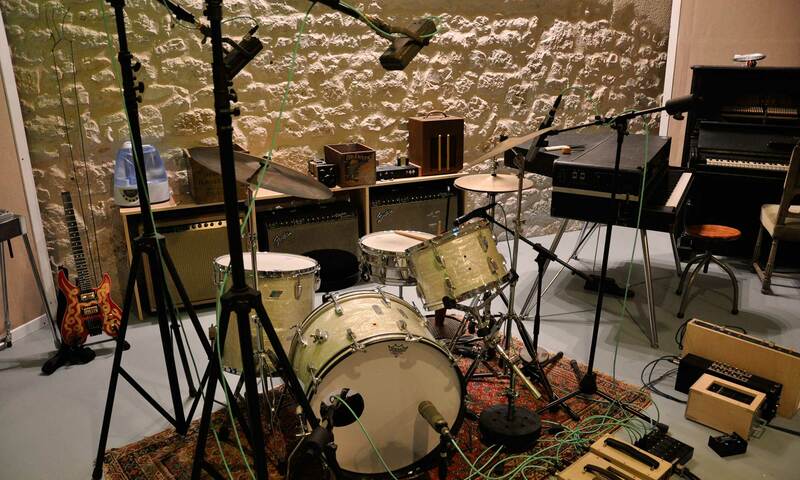 A 1967 Ludwig kit gives drummers something to do. 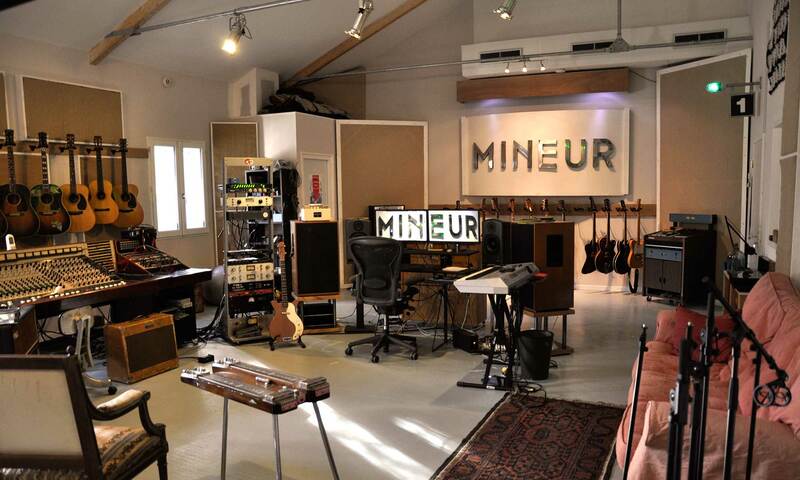 Mineur also has a completely acoustically-isolated room for instances where isolation is a good thing – like when you want to make a lot of noise. 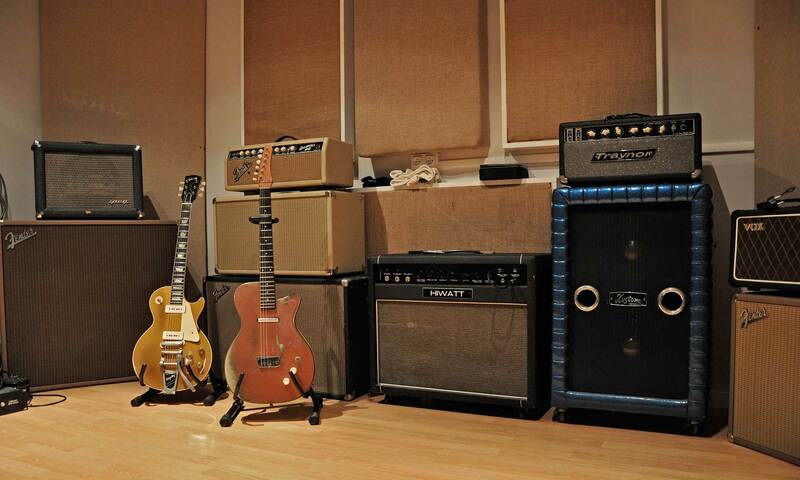 Over the years, I have accumulated a lot of vintage guitars, both acoustic and electric, as well as amplifiers. They’re a lot of fun, offer a variety of sounds, and can provide an unexpected source of inspiration for a part or a song. Mineur also features a 1970’s Raindirk Series III console. It can be used old-school, for tracking and mixing, or integrated into the Pro Tools system at various stages to capture that analog “something”. 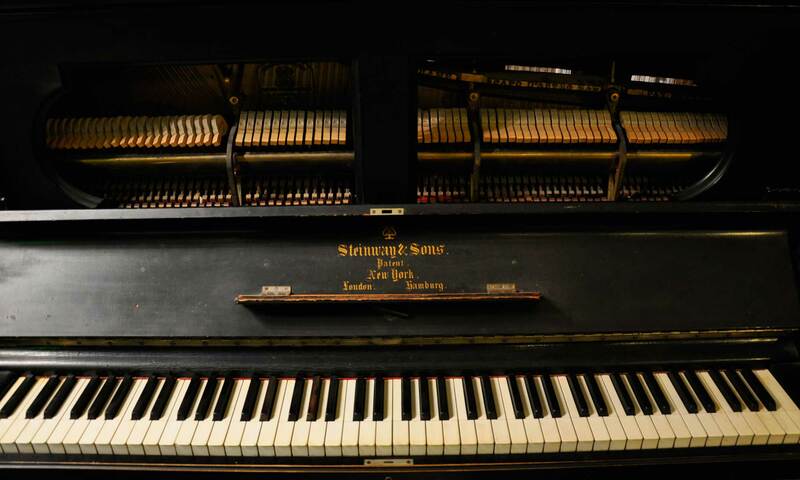 This old Steinway upright is full of character. 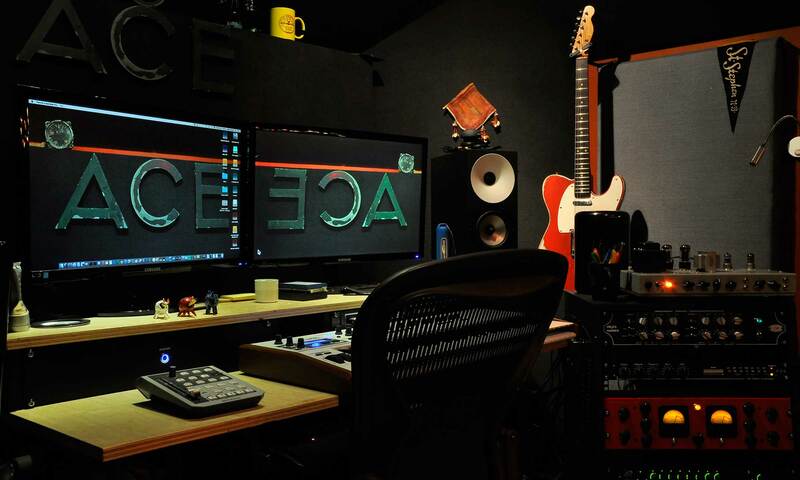 ACE is a small space I built in our garage in Devon. It’s very much like the control room of a submarine – almost every square inch is functional. 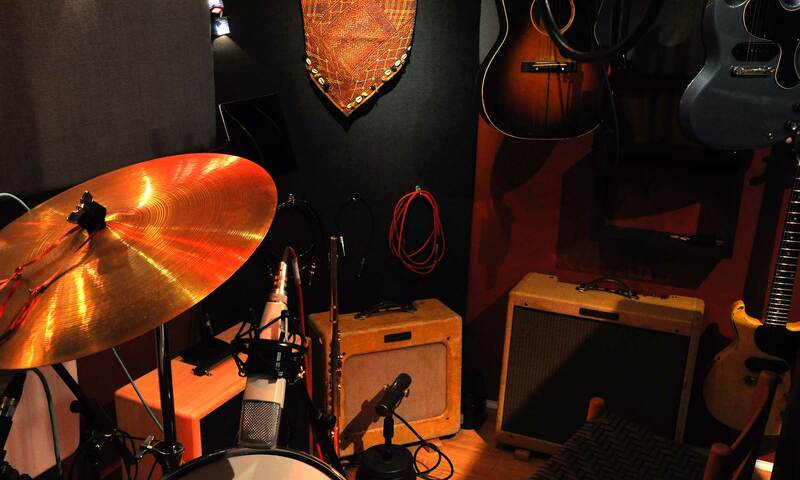 While too small for a band, it’s a great environment for singer-songwriters, and provides a handy workshop for all sorts of overdubs. 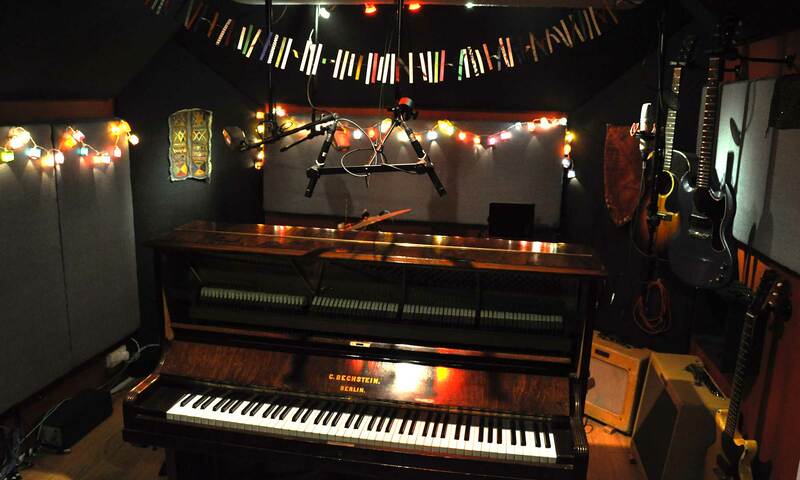 However, full albums can be done here as well – the room is acoustically treated and sounds very good. As with Mineur, ACE is located in a beautiful rural area, near the sea, with a host of interesting things to see and do when not recording. There are many pubs and B&B’s in the area. The studio does not offer accommodation. All of my gear is shared between the two studios. Depending on the project and the schedule, anything in this list is available in either studio.